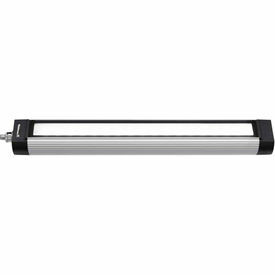 Fluorescent Machine Tube Lighting Is Mountable For Illuminating Hard-To-Reach Areas In Workshops, Studios And More. Fluorescent Machine Tube Lighting provides efficient and bright light for a variety of workspaces. Available in wattages ranging from 13W up to 55W. For indoor use only. 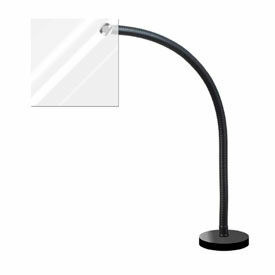 Select models include mounting brackets. 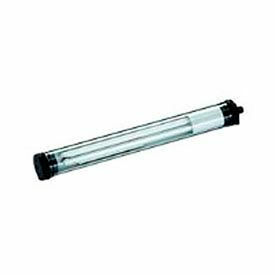 Fluorescent Machine Tube Lighting is available from several trusted brand names. Machine Shop Shields Provide Face Protection From Liquid Splatter Or Debris During Close Work. Machine Shop Shields are square plexiglass shields with adjustable gooseneck for flexible positioning. Plexiglass machine shop shields are available in 8" x 8", 10" x 10" and 12" x 12" sizes. Machine shop shields measuring 12" x 12" are available with magnetic base or direct mount base. 3-year warranty. Waldmann 112544001-00011081 Slim LED Light Strip Adjustable IP67 24V DC 13.2 in.